Prime Location, Vintage Home in the Melrose District of Park View Homes. 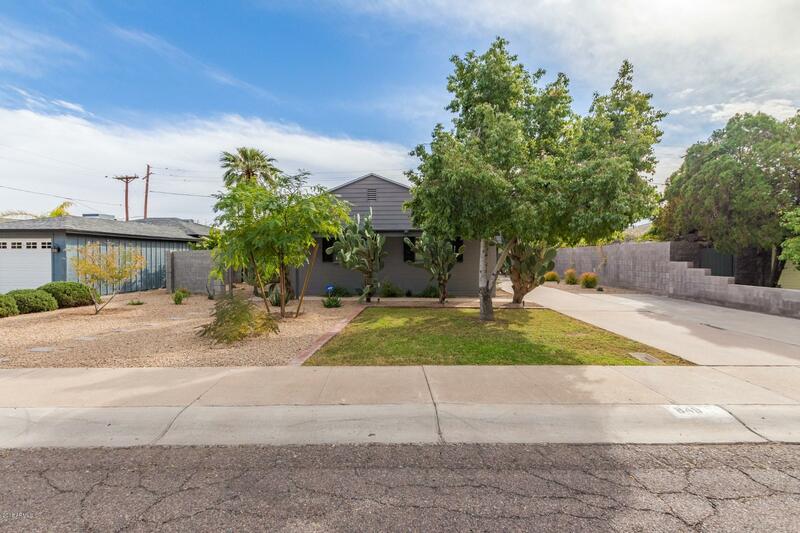 Centrally located with easy access to the I-17 and I-10 freeways, Grand Canyon University and Steele Indian School Park. This updated modern home has been completely remodeled with the finest finishes. Bright and open flowing floorplan, concrete flooring and custom color scheme. White cabinetry, sleek countertops, and stainless steel appliances complete this tasteful kitchen. Custom red wood built ins add extra character! Spacious bedrooms with updated vanities. Enjoy your outdoor space with the built-in bbq, or under the covered patio. There is also a storage shed for additional storage. Don't miss out on this beauty!